In 1925, the renowned hotel entrepreneur James (Jim) Cavill arrived on the scene and created the legendary Surfers Paradise Hotel. Over the decades it has evolved into one of the Gold Coast's most iconic venues and 84 years on, the Surfers Paradise Tavern is still home to the locals and visitors and the heart and soul of Surfers. It's the last remaining authentic rock venue in Surfers Paradise. It's a tradition. 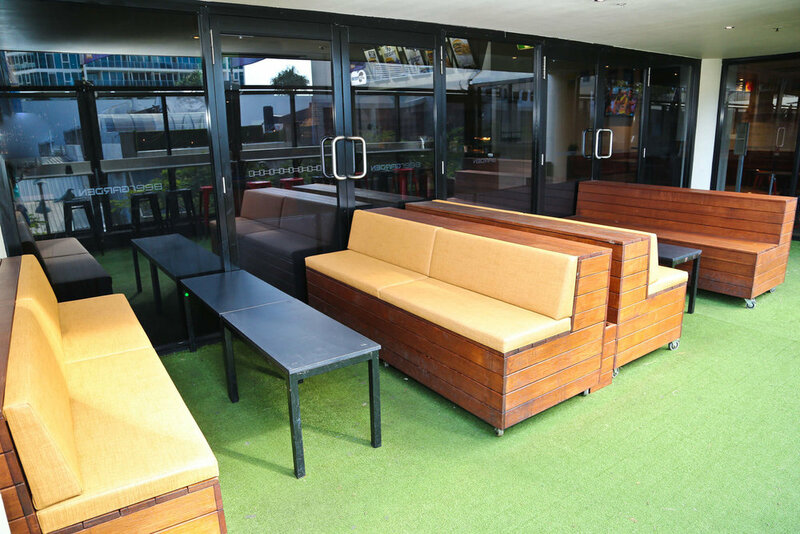 Whether you're unwinding from a long day's work, heading out on the town, eager for some great live music, keen to shoot some pool or relaxing on a Sunday arvo on the balcony, the Beergarden is the place to be. A quintessential element of the Beergarden is its undeniable relaxed atmosphere and love of live music; it's been home to locals and visitors to Surfers Paradise for the past 84 years. 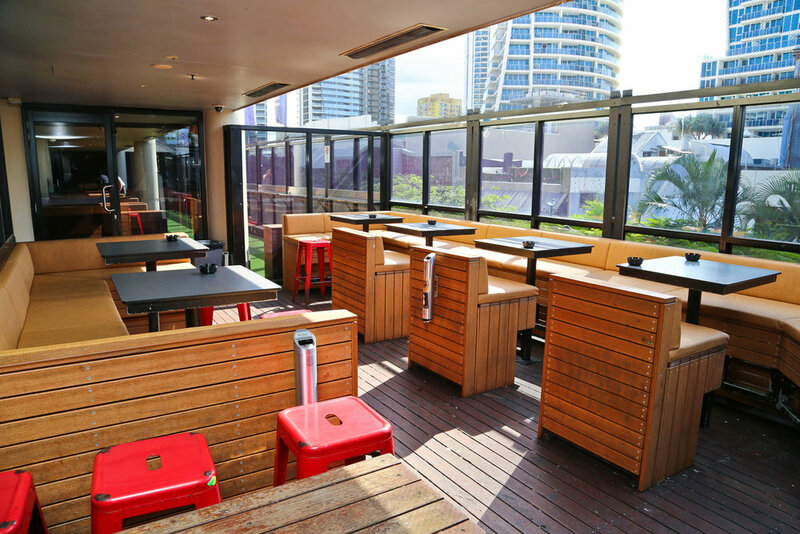 Located up two levels of stairs and boasting a large open plan layout overlooking Cavill and Orchid Ave, the Beergarden is one of the largest and liveliest bars in Surfers. 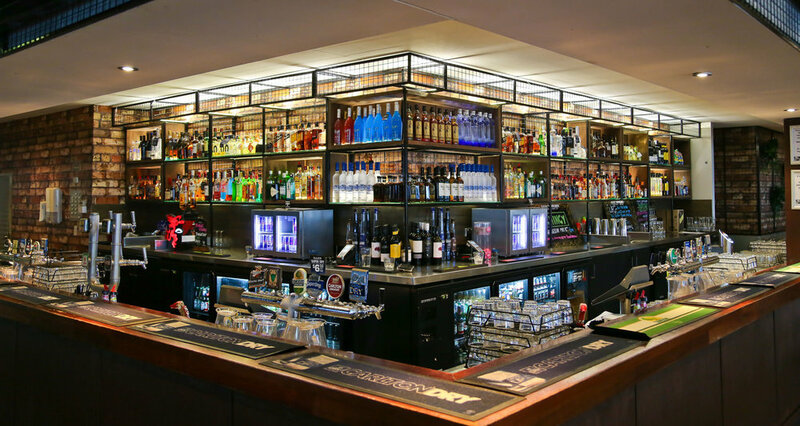 The newest addition of a 23-meter long wood carved corner bar is stocked full with a wide selection of spirits and Australian and international beers available (both on tap and bottled). We've also created an ever enticing wine, cocktail and shot menu to tempt all taste buds. The Beergarden has upped the anti to bring you a mind blowing state of the art sound system, that you can feel through your entire body, to make that rock show unbelievable. Along with the amazing new fit-out, we have six pool tables where you can challenge friends to a game of pool. Whether it's a beer on the balcony after a hard day's work, a refreshing wine on the lounges to quench that summer thirst or even a few tantalizing cocktails whilst rocking out to your favourite tunes on a night out with friends, the Beergarden invites you to come and enjoy the coastal rock vibes of the Beergarden.